Have you been wondering where Linzee is these days? We caught up with our energetic, ever inspiring instructor about her love of adventure racing. During the summer she’s in the mountains training or racing every free moment she gets. 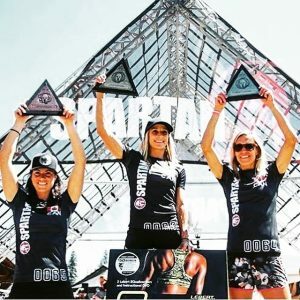 Here is a little perspective on how to get into adventure racing (even if you are not an elite athlete) and into the mind of an elite athlete. Enjoy! During the winter months I try to build a solid aerobic base (through spin and longer slower running), and build up the strength I need for OCR (obstacle course races). Once race season hits, training actually decreases in volume but I’ll increase my intensity and make it more specific to the races I have coming up. Racing takes a big toll on the body, so it’s important to try to stay fresh going in and then recover properly after. It’s a tough balance that I’m still learning! The week leading up to a race I’ll focus on getting lots of good nutritious calories in, drink plenty of water, do lots of stretching and mobility work, and taper down my workouts so I’m feeling fresh for race day! I try not to think too much about my race going in. It stresses me out in an unneeded way. I try to do something relaxing the day before…something that will keep my mind occupied and off the race. The morning of I’ll get hyped up, talk about strategy, and give myself some positive talk. Success in a race often comes down to your mental game and how in control of it you can be. Your body can endure a lot as long as your mind will allow it. I love exercise for so many reasons! I love how it makes me feel strong and capable. The crappiest of days can be turned around by a little run or spin. I love how fitness creates a community of people that all come together for different reasons but with the end goal of being healthier and happier. I’ve made so many relationships stemming from some branch of the fitness world. I also love to eat good foods in large portions. Nothing better than coming back from a long day in the mountains with a free slate to eat whatever I want completely guilt free. The race always feels like hell. Your lungs are on fire, you aren’t sure if your legs will hold your speed, and then you start hitting obstacles which shoots your heart rate up and taxes muscles you never knew you had. But the stress of the race somehow goes away, I dial in and just go. At this point I remind myself why I like to race. I feel strong and exilierated and like there’s nothing I couldn’t do. I remember that I am good at coming off 30 burpees and continuing to run immediately after as hard as I can. The end of the race is what you’ve really done all the work for. No matter where you placed you feel in awe of what you just did, and I am always so dang proud of all the other strong woman out there who are crushing it just as hard. After reading comments on social media and texts from friends and family cheering me on I’ll get a little emotional and realize how lucky I am to get to do what I love. And then we get together with the other racers and talk about the race all day/night! I’d say as a first time racer, find a local race that you can convince some friends to go do with you for fun. Generally these OCR or mud runs will have an elite division and an open division. Compete in the open division and see if you like it! This is a low stress way to get out and get active, and probably really enjoy yourself and meet some new people. Spin has always been a great way for me to cross train and keep my legs strong especially through the winter months without the constant wear and tear that running takes on the body. Teaching spin class is the perfect opportunity to blast good music in a room full of great people and get sweaty and fit in the process. Group fitness is a fantastic way to meet new people and push yourself harder than you ever thought you were capable. 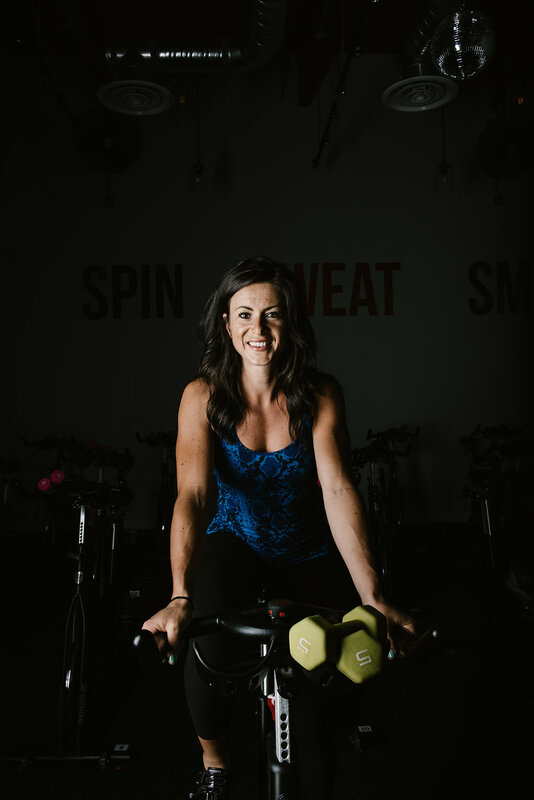 Spin can be modified to all levels of fitness, so it is a great option for everyone to try!